COL Brian Rees, US Army Reserve (Ret. ), addresses the conference. COL Rees served five tours in Iraq and Afghanistan. The psychological wounds of war are less visible than physical ones, yet equally devastating—more veterans die due to suicide than in combat. The David Lynch Foundation launched Operation Warrior Wellness to promote resiliency and well-being among veterans, active duty military and their families through the evidence-based Transcendental Meditation program. 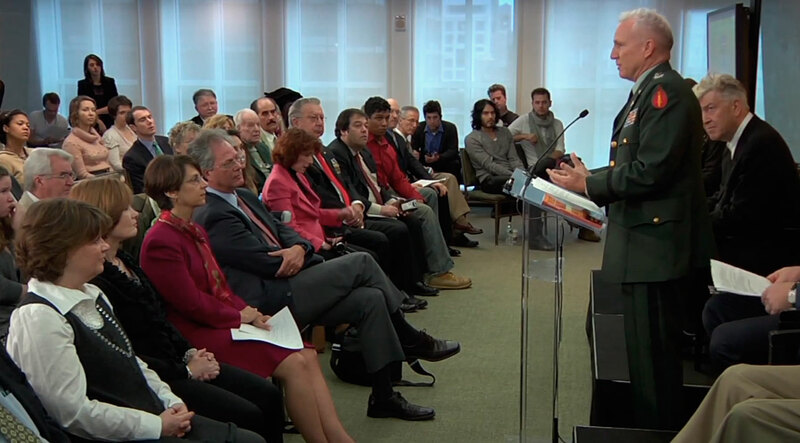 This press conference featured military personnel, scientists and celebrities.